Yes, we all have more electronic gadgets than we can possible use in one day let alone at one time. And there are very few of us that can’t navigate around a keyboard. 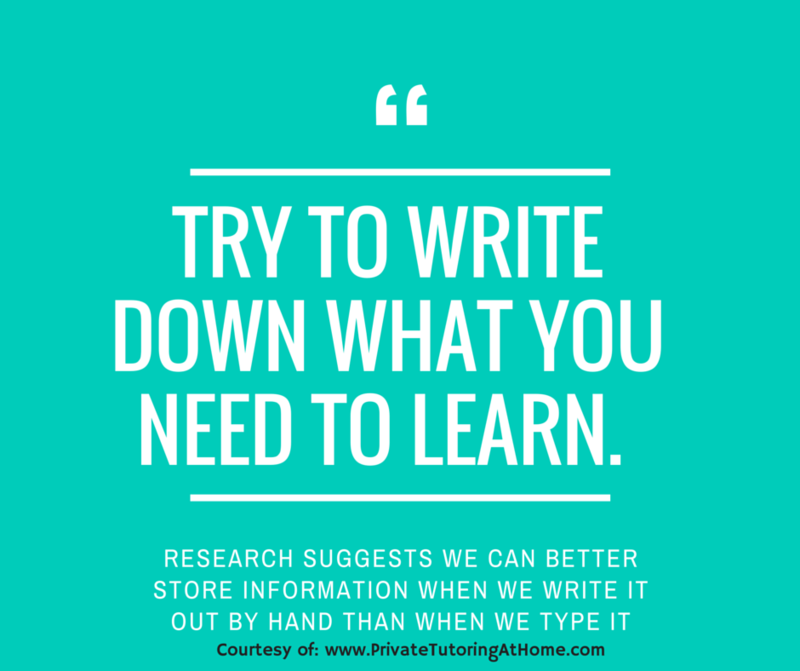 However, when you are trying to study and learn a new topic your handwritten notes and study sheets are going to help you more than anything that you’ve typed. For whatever reason, one of the best ways to learn how to study is by taking pen or pencil to paper and writing out anything and everything related to your coursework, text or exam. There’s something about that “flow” as I call it that makes your brain absorb and store what you are working on as well as learning at the time. So simply grab some paper, note cards, index cards and even sticky notes and use those to collect the main points or topics for whatever you are going to be writing or studying. This extra effort even if your computer, phone or tablet are near at hand will benefit you more than you know and your grades will also reflect that as well. And for those whose handwriting is tough, write it out once and then type it up into notes. Or use a tablet like the Samsung Galaxy Note Pro that comes with a stylus and can translate your handwriting into typed notes for you. It’s a more expensive option but effective as well. As we’ve said before, if you do this throughout the semester or year, you’ll be ready when exams or finals come around. You won’t have to cram or stay up for all nighters (unless you want to of course…) trying to get prepped in time. If you enjoyed this post please pin it to Pinterest, share it on Twitter or Facebook and stumble it on Stumbleupon.